All the Print and Pattern books by Bowie Style so far have all be delightful. Each book is a huge source of inspiration and a fantastic reference. The latest book is still in the same paperback format with 304 pages. This time, the theme is nature. The pages are filled with beautiful art. There's a mixture of digital and traditional art. All look great. Care has certainly been taken to include the best. All the artists are also properly credited and come with a short profile. 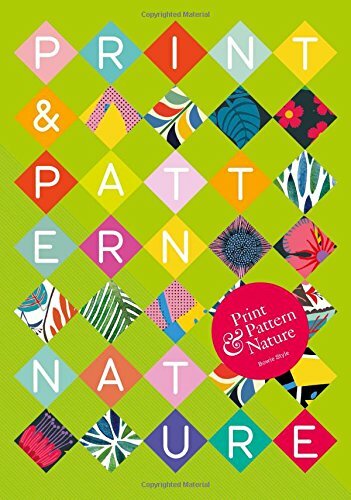 The more I look at the artworks, from this book and the earlier ones, the more I feel that it can be more of a therapeutic experience to draw patterns like this rather than engage in all those colouring books.